Aqui estoy in my favourite Spanish city of Madrid (after cider-soaked Oviedo). Coverage of Spain has been woeful on The Tweed Pig so far, but I'll try and drip-feed some intelligence out. I'm returning in Spring, when I'll see if I can deliver a little more on this city of southern Habsburgian elegance. We all know the fine history of Spanish leather, where the famous Cordovan horse leather originates. If you're going to buy genuine Cordovan shoes, then Spain's a good place to do it. Carmina the shoemakers was established in 1886 in Mallorca. 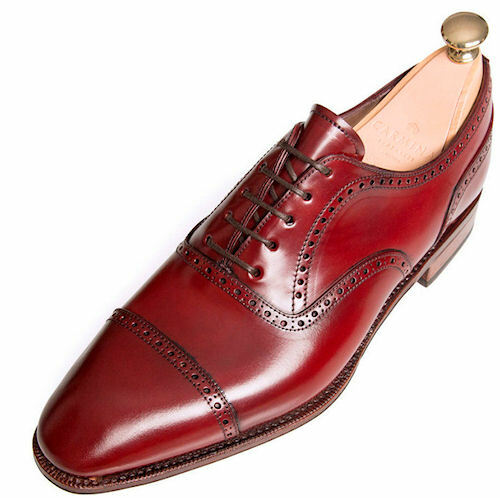 The company aims to compete with the best of the English shoemakers. The family business has a shop in Gran Via, Madrid, that includes a line of Cordovan leather shoes. The Cordovan shoes are available in ready-made and bespoke. 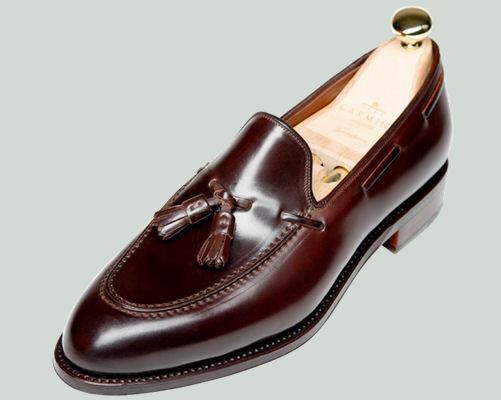 Examples below - a brown tassel loafer and brogue, in a very attractive oxblood colour. The Cordovans are lined in calf leather. And why not smell of Spanish leather too? 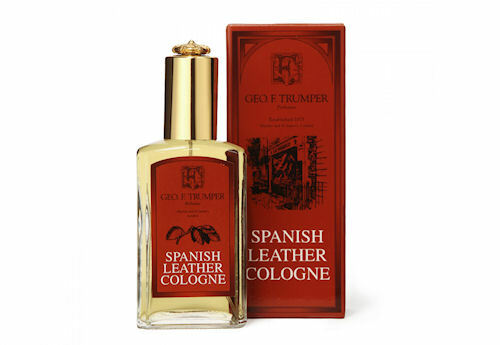 Spanish leather is one of the classic scents for gentlemen. The name derives from Peau d’Espagne (Skin of Spain), a perfume once used to scent leather. Many of the perfumers we cover regularly offer varieties of this spicy, musky, leathery scent, such as Truefitt and Hill, Floris and Trumpers.